All good things come in small packages and Burt’s Bees Baby Bee Getting Started Kit is a prime example. This selection of the most popular natural baby products is a convenient way to make sure your baby's favourite lotions and potions are always handy. 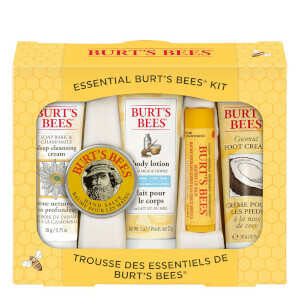 Burt’s Bees Baby Bee Getting Started Kit is a great way to keep all your babies needs with you at all times. These sweet-smelling products are kind on your most cherished loved ones skin. Containing buttermilk, they will soothe and cleanse their skin without irritation, so you can rest assured knowing they are using the best all natural products on their skin. This kit makes a beautiful present for any Mum or Mum-to-be. Gently soften and soothe baby’s tender skin with this apricot oil, which is great for adults too! Nourishing Lotion contains only safe and gentle ingredients, without the use of parabens, chemical additives, synthetic fillers or preservatives. Cleanse and soothe your baby’s skin and protect it from environmental aggressors with this natural and calming soap bar. Take a natural approach to soothing your baby’s tender bottom. Specially formulated for sensitive skin, this diaper ointment will soothe their precious skin from breakouts and prickly heat. This pure and tear-free formula contains a gentle cleansing blend of coconut and sunflower oils. With nourishing soy protein and soothing sugar extracts it will leave your baby naturally clean, soft and snuggable. Smells lovely. Great for gift. Used it on diaper cake for baby shower. 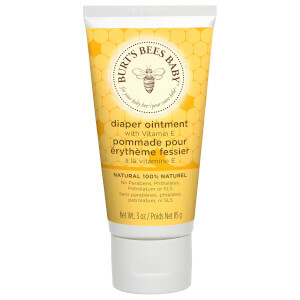 Great intro into Baby Burt's Bee products! The products are a nice size and a good way to try the Baby Bee range. The smell is divine and it left my little one's skin feeling very soft and smooth.Unfortunately the product information on this site is incorrect as you don't get as many products as are listed and makes the samples more expensive. The Buttermilk Bath & Dusting Powder are not included which was a great disappointment as this was the reason I ordered the set in the first place - the comb is also not included.The products themselves are still of a very good quality and are recommended.